Spring is just around the corner but with the fishing we’ve had this winter…it can take its sweet time. A little snowmelt run-off didn’t dampen the fishing today and good high-water technique was rewarded with several handsome rainbows and a generally awesome morning out. Sure it was a bit chilly, but trout need to be cold and wet…how are you going to catch them if you always have to be warm and dry? 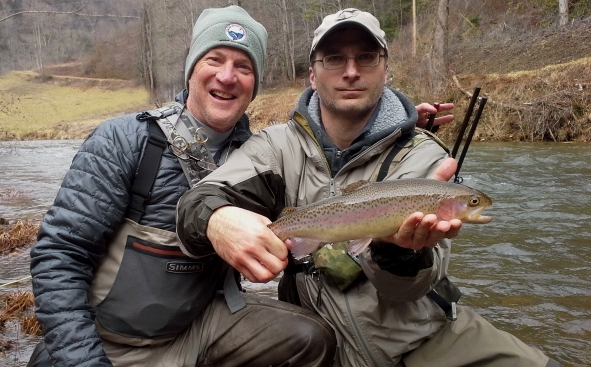 This entry was posted in Uncategorized and tagged Asheville Tenkara news, fly fishing, tenkara, tenkara fishing, tenkara guides. Bookmark the permalink.